Designed for use in 4K video workflows and on-location shoots, the 256GB Portable SSD from Wise boasts a USB 3.1 Gen 2 Type-C port and read/write speeds up to 550 MB/s, ideal for speedy transfers of large 4K RAW files. The drive is housed in a waterproof, dust-proof, shock-proof, and X-ray-proof shell, and it comes with a hot shoe mount handy for location shooting. Unlike general-purpose solid-state drives for personal computers, Wise Portable SSDs are especially designed for the challenging demands of the video industry. It is developed to be not only fast, but also steady and compatible with a wide range of 4K professional cameras and external monitors. Wise Portable SSDs are built for video shooting with both extremely smooth data streaming and fast recording speed for 4K RAW. The sustained write speed of up to 520 MB/s optimizes your 4K video productions. With a read speed of up to 550 MB/s, you can rapidly transfer large RAW files. 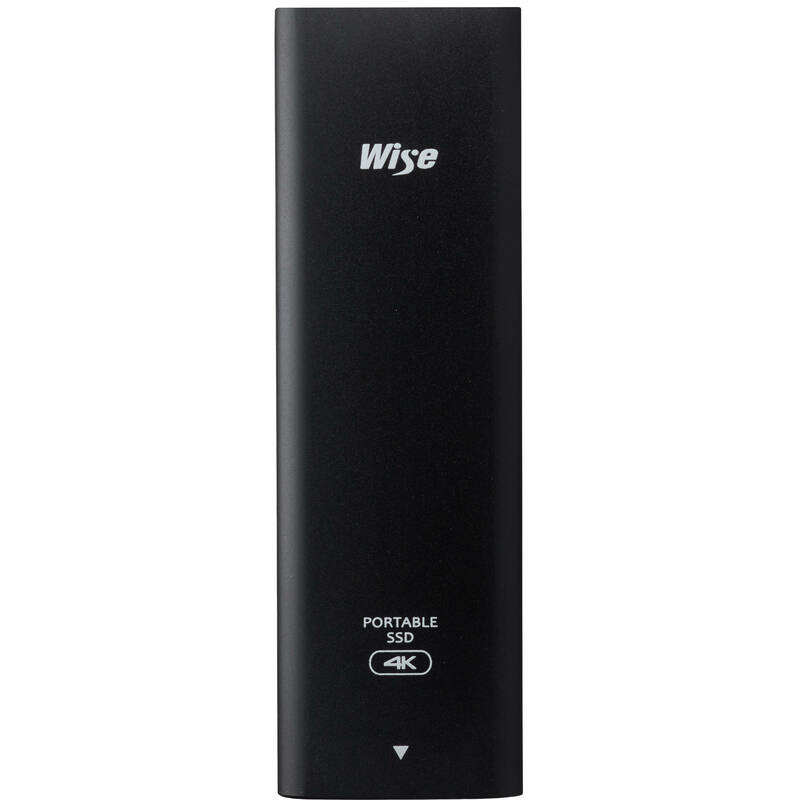 Wise Advanced Portable SSDs are waterproof, dust-proof, shock-proof, X-ray proof, and can be operated in temperatures ranging from 32°F-158°F/0°C-70°C. Box Dimensions (LxWxH) 6.6 x 4.2 x 1.3"